The Long Night winter tour of the Yukon for travel professionals from across Canada was an “incredible experience” that raised over $11,000 for worthy charities and non-profit organizations in Yukon and NWT, said organizers. 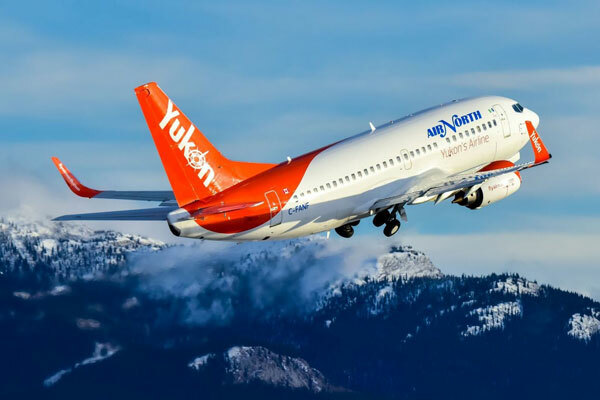 The Long Night brought over 80 travel industry specialists from across Canada to participate in a two-night, event-filled celebration in the Yukon from Jan. 4 to 6. The principal sponsor and organizer was Air North, which provided the flights for the trip. “Nothing like this has been tried before,” says Nicole Petersen of Air North, who conceived, organized and promoted the Long Night concept. On the trip, travel professionals experienced a side of the Yukon normally not seen by tourists, during winter and at the darkest time of the year. They took in activities like soaking in the Takhini Hot Pools and sampling the famous Sourtoe cocktails at the Downtown Hotel in Dawson City, Yukon. Some also arranged extension trips outside of the planned two-day itinerary. These included a Yukon wilderness adventure and lodge retreat in Whitehorse, and a three-day Western Arctic adventure to Inuvik, Aklavik and Tuktoyaktuk NWT. By taking part in the Long Night, the travel sellers raised funds for charities, including $4,100 for Challenge Whitehorse, $4,100 for the Dawson City Food Bank, and $3,100 from a charity auction benefiting the Youth Of Today Society in Whitehorse, to name some. A final tally was still in the works, and the total finds raised is expected to exceed $12,000, said Petersen at Air North. Go to www.flyairnorth.com for more.